There’s more to ______ than ______. 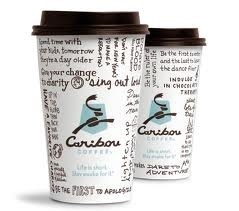 I saw this tagline at Caribou Coffee a few weeks ago and I think it’s a gem. As a pastor, I thought of a twist. “There’s more to faith than church. That’s why there’s church.” // Obviously faith is bigger than church, but church helps us experience what faith should be! How would you fill in the blanks? I’ll look forward to your creativity! Remember, to follow the pattern, blanks 2 and 3 have to be the same word!